Apart from writing hundreds of Carter Brown stories, Yates wrote under variations of his own name – Alan Yates and A.G. Yates. He also wrote under variations of his wife’s name, using the masculine version of her first name and combinations of her middle and maiden names. 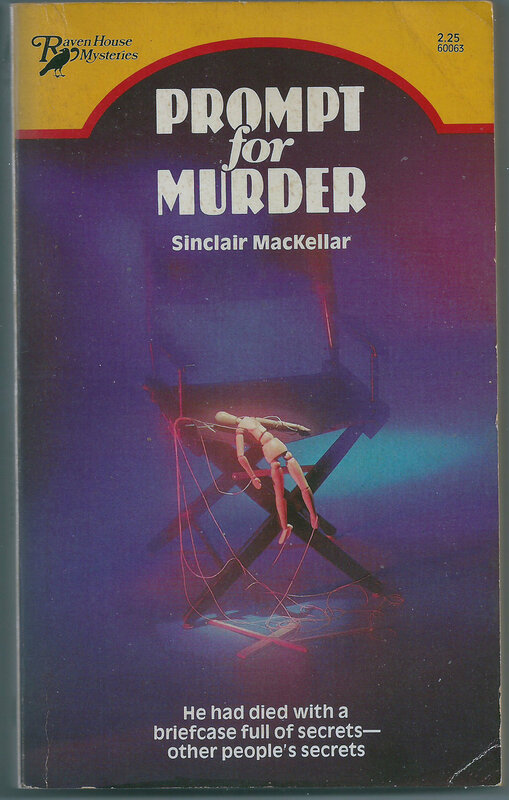 Hence Dennis Sinclair and Sinclair MacKellar. He also wrote under a variety of pseudonyms including science fiction under Paul Valdez and westerns penned under the name, Todd Conway. 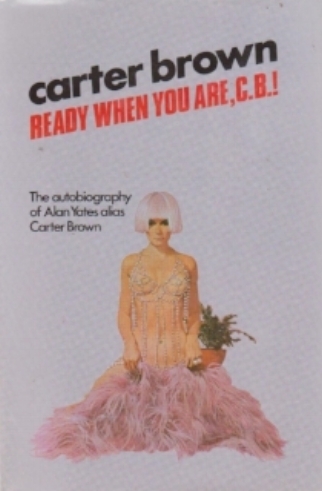 Yates also found the time to create a musical of one of the Carter Brown books, The Stripper, with Rocky Horror Show creator, Richard O’Brien. On the planet Thesbos, the Word of Shakespeare is Law. Through the mystery of his Works, embodied in his living arcana, the power of illusion holds the eyes – and mind – of the entire galaxy in thrall. Only death is real. At the centre of this web of dreams lies the Council of Five. They have given up their very selves to become the Major Arcana, to possess power beyond their wildest dreams. 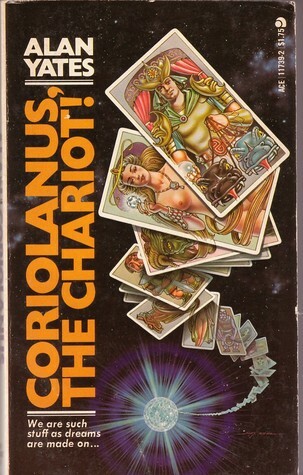 But the latest object of their sadistic whimsy may face them with a rude awakening – if he can survive his trial through the mazes of the flesh to become Coriolanus The Chariot. In a novel ahead of its time, Yates takes a close look at corporate power struggles, deceit and the meaning of truth in a world where marketing and publicity budgets make ‘truth’ of little value. He takes us on a journey to see love, honesty and respect spectacularly collide with career ambitions, infidelity and intrigue. A deep and insightful look into human nature when money and power are at stake. Alan Yates/Carter Brown is one of the most widely-read, most enjoyed and most successful mystery writers the world has seen. Alan Yates is also arguably the most witty, the most outrageous, the most versatile of them all. He has also written science fiction, westerns, serious fiction, even a comic or two. This, his autobiography, then, is as important an insight into the life and times of one of the world’s truly successful novelists as it is an amusing and warm account of the road to success and the people met along that road…Al Wheeler – that crime-busting firebrand – continuously interrupts the narration. The result is a work that not only delightfully captures the personality of the most private of all private-eye writers, but also brings to life the real essence of those famous Carter Brown novels. Yates wrote four books in this series under the name Dennis Sinclair. He created an organisation called ‘Survival’, a top secret international network of scientists and amateur spies, dedicated to the task of saving the world from nuclear destruction. Survival has four cardinal rules. Composed of highly intelligent men and women, it recognises that no-one would be expected to work against their own country. No member would face any conflict of interest. Survival looks after its own and Survival is for the majority. If the minority must die, then so be it. When a Russian member of the young organization is trapped in China, an American is assigned to do the impossible: Get him out. The job becomes even more dangerous when Greg Ballard discovers that his beautiful and mysterious ex-wife is connected to the Hong Kong underground. Can he trust her? Greg must find out, for only using her to save the Russian can her advert the nightmare threat that hangs over the city. Mass execution though chemical warfare. When English aristocrat Sir John Wycombe vanished after the brutal murder of his wife and child, international journalist and SURVIVAL agent Greg Ballard was ordered to find him. For Wycombe was a fellow-member of SURVIVAL – the secret international organization pledged to prevent the world destroying itself – and he’d been on to something big before he disappeared. Desmond Connors was the dirtiest stage director in the business. He cheated on his wife. He blackmailed members of his cast. He broke contracts. And he got away with it. Finally someone had had enough. Desmond Connors and his deadly secrets were laid to rest. During the investigation one question plagued Scotland Yard. Was there anyone who didn't want to see Desmond Connors dead? The year is 1961, the place Pine City, California and some broad is threatening to throw herself off the fanciest hotel in town. There’s trouble brewing and Lieutenant Al Wheeler wants answers. First stop, The Club Extravaganza where we meet the delectable Deadpan Delores. Her name says it all…she’s not shy so what’s she hiding? Al Wheeler is thrust into a sleazy underworld of strip joints and lost, lonely hearts where the truth isn’t the only thing he uncovers.